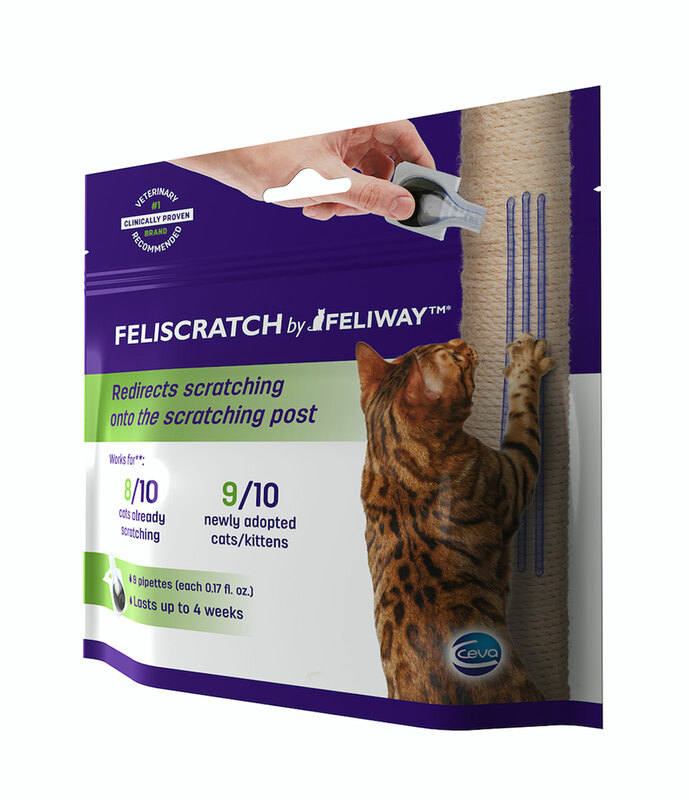 Ceva Animal Health’s Feliway Feliscratch is clinically proven to stop and prevent both vertical and horizontal destructive scratching in the home by redirecting cats to scratch in the right place, the company states. The product compels cats to scratch where applied, according to Valarie Tynes, DVM, DACVB, veterinary services specialist at Ceva. In clinical studies, Feliscratch attracted more than 80 percent of cats to use their scratching posts within the first week of use; more than 90 percent of cats never started destructive scratching when adopted into a new home using the product, according to the company. Naturally derived and drug free, Feliscratch helps avoid behavioral issues associated with declawing, such as litterbox lapses, biting, and physiological issues, stated Dr. Tynes.